Random Panel: "To the bat-lube, Robin!" 2 Responses to Random Panel: "To the bat-lube, Robin!" Three words: Buh. Ru. Tal. 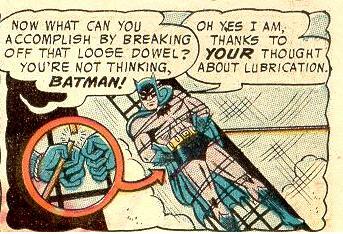 I guess the lube caused Batman to have a dowel movement.